The Barden Bellas are back and this time they aren’t messing around. Pitch Perfect 2’s trailer was released this past week and fans are buzzing with excitement. The sequel focuses on the Barden Bellas and their journey to the A Cappella World Championships, which no American team has ever won before. But that’s obviously not going to stop the Bella’s after their last performance. 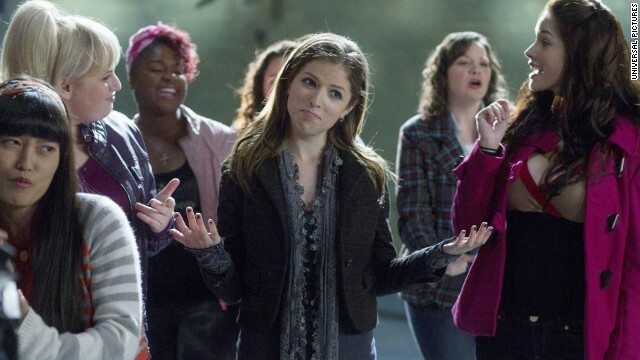 The trailer features the hit song “Cups” which Beca (Anna Kendrick) sang in the first movie, but as new group version. Fat Amy (Rebel Wilson) also previews some of her wit from the first movie. Even though sequels tend to never be as good as the original, fans have high hopes for Pitch Perfect 2. The main cast members are returning and the chemistry on set will hopefully be the same. Hopefully the sequel will be as “aca-awesome” as the first one.